Ashwini (also referred as Aswini Achu) is an Indian actress mostly working in Malayalam Television Serials. She has also acted in Tamil TV Serial and Malayalam Films. Aswini debuted into Malayalam Television through Mazhavil Manorama serial Amala. She got a break as TV serial actress through Ente Pennu, a malayalam Serial on Mazhavil Manorama. In this popular serial she gives life to the character, Seethamma, lover of a married man Emmanuel, played by Yadu Krishnan. The character of bold Seetha in the serial with many shades of life, gave Ashwani a platform to perform and made her darling of many serial viewers. Following the success of the serial ente pennu and the character, Ashwini got opportunity to act in Asianet Serial Amma and Surya TV Serial Spandanam. In the Asianet Serial Amma, one of the longest run soap opera on Asianet, Ashwini plays the role of ACP Lekha IPS. 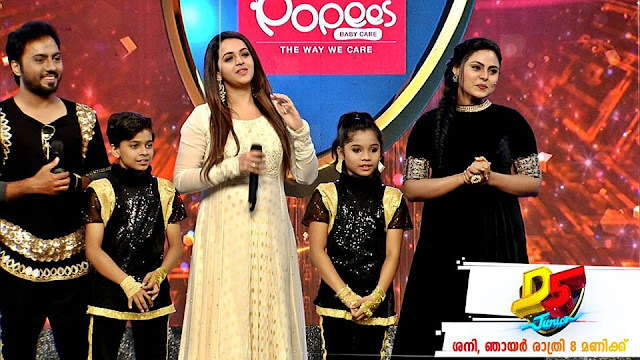 She is portraying the the grown up version of the central character of the teleseries Ponnu, the girl who missed out in the crowd from her family. Ashwin is also acting in a Tamil Serial named Sakthi , which is being aired on Tamil Channel Sun TV. Sakthi is the tamil remake of hindi serial Dil Se Di Dua... Saubhagyavati Bhava?, telecasted on Life OK Channel. Actress Ashwani is playing the role of Anu (a police officer) in Sakthi serial. Ashwini made her debut in Malayalam Film Mallanum Mathevanum (2015), which is gearing up for release. This movie is directed by Santhosh Gopal and produced by Ullas Kilikolloor with a cast and crew filled with new comers in the industry. Suman Bichu is the music director of the movie with Bichu Thirumala as the lyricist. Ashwini is the second heroine of this movie. Ashwini is very much in love with sports. She was a medal winner in National Games in the shotput category. During school time, she was actively involved in boxing and won many prizes for the same without formal training. Later her interest gives away to shotput. Aswini got opportunity in acting following her appearance in a magazine cover and through her role as TV anchor. She took up the chance when she got opportunity and is now a familiar face to malayali TV audience. We wish her success in her career.